MiMi is the new kid on the block serving up modern Thai cuisine. We visited MiMi to try their Brunch Me Up menu. This is the Thai inspired version of avocado on toast. The avacado guacamole had a slight hint of wasabi sauce. Two perfectly poached eggs sat on top of the toast with thin slices of watermelon radish. Sprinkled around the eggs were edamame beans, adding a crunchy texture. Garnished with sesame seeds, rocket and furikake, this dish is a must try! Nothing screams breakfast like an omelette. 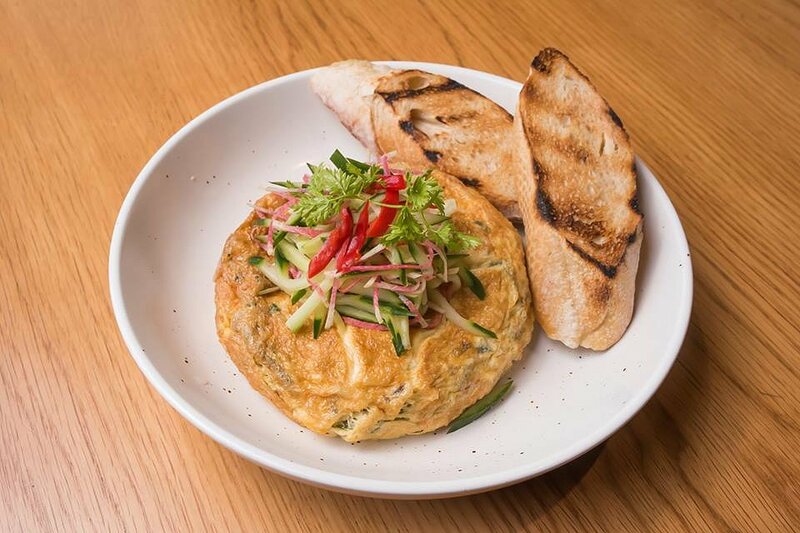 Consisting of parsley, cucumber, red capsicum and diced pink watermelon radish, a sprinkling of salad on top added a crisp freshness to the warm egg within the savoury omelette. Served with two slices of crispy toasted bread on the side to soak up the slight oozing egg yolk of the omelette, this dish is the perfect brunch item to have in the mornings. You can feel the zen in the Buddha Bowl with all its vibrant colours. 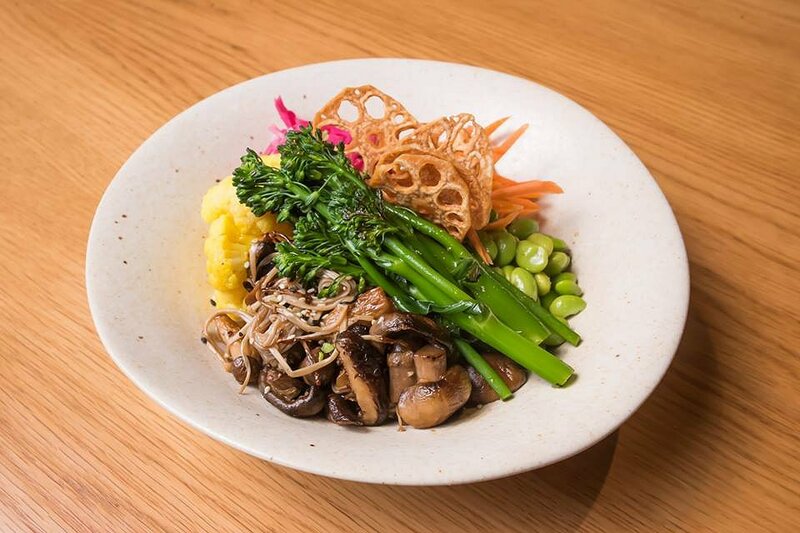 This hearty Buddha Bowl consisted of carrot, edamame beans, broccolini, Asian mushrooms, yellow pickled cauliflower and pink cabbage. Bringing all of this together to complete the wholesome meal were the delicious sweet potato noodles, topped with a Yuzu soy dressing. Sitting on top were intricately patterned lotus leaves, which closely resembled veggie chips. We love a good pun and we love this dish. 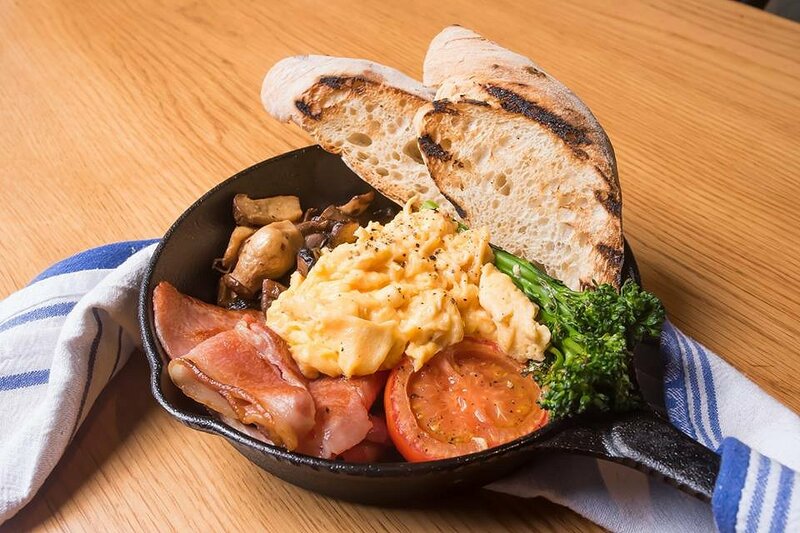 Customers have a choice on how their eggs are cooked in this delicious breakfast. The dish is served with two slices of sourdough, grilled tomato, sauteed broccolini, earthy mushrooms and rashers of bacon. Breakfast and dessert are often intertwined as is the case with this dish. 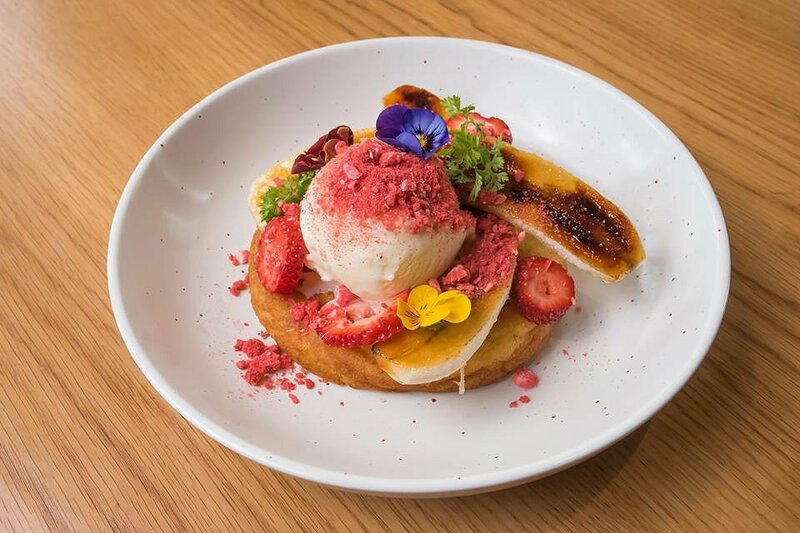 Sitting on top of the thick and fluffy pancake were caramelised banana, vanilla bean ice cream, strawberries and freeze dried raspberries. 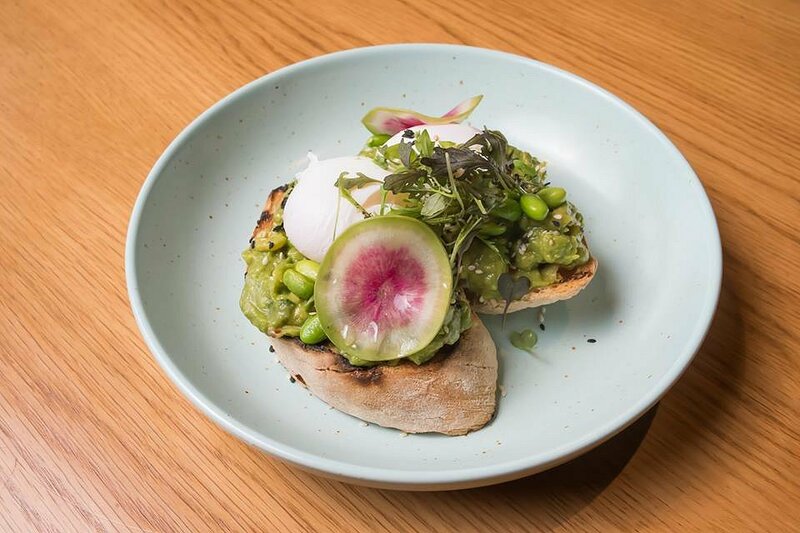 MiMi’s brunch menu is available on weekends from 9am–2:30pm.